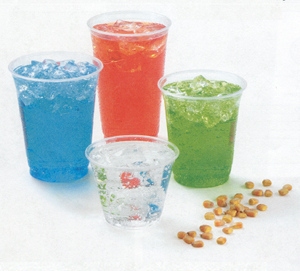 We offer a full line of cold beverage cups which are certified compostable. The come in a variety of sizes ranging from 1.5oz to 24oz. They lids come as flat, dome without hole and dome with hole. They can be used for a variety of cold beverages, such as soft drinks, slushees, beer and milkshakes.